The walk down the trail took place despite the rather dubious weather! 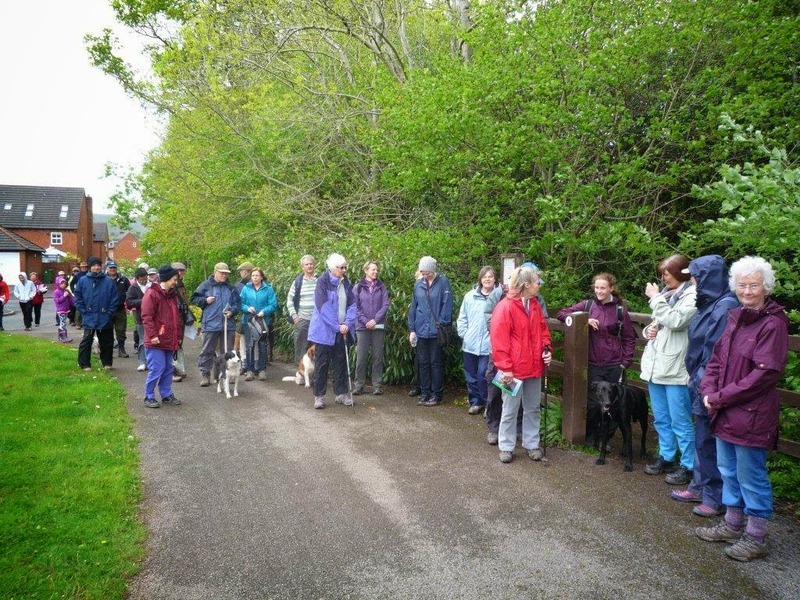 38 walkers braved the elements through showers, incredible winds and across some nasty muddy patches. We had a brief walk round the lower part of the Cefn Onn Park, then into Coed-y-Felin, a lovely area of ancient woodland . Thank you to those from the Friends of Cefn Onn and Coed-y-Felin for their warm welcome and informative talks about the two areas. We then followed the Nant Fawr Trail along some very muddy paths in the Lisvane fields before entering the Nant Fawr meadows. 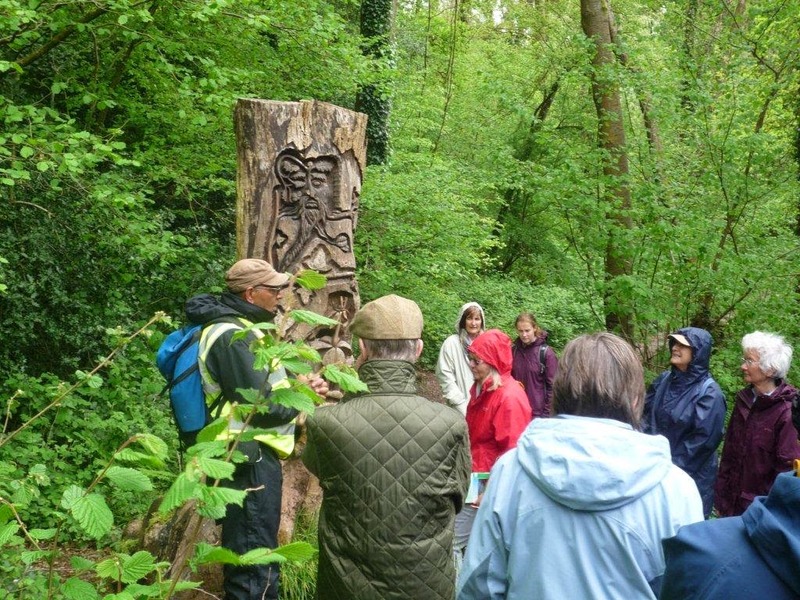 Nant Fawr were able to describe some of the history of the meadows despite the heavy winds; finally we reached the more peaceful settings of the Nant Fawr woodland areas. 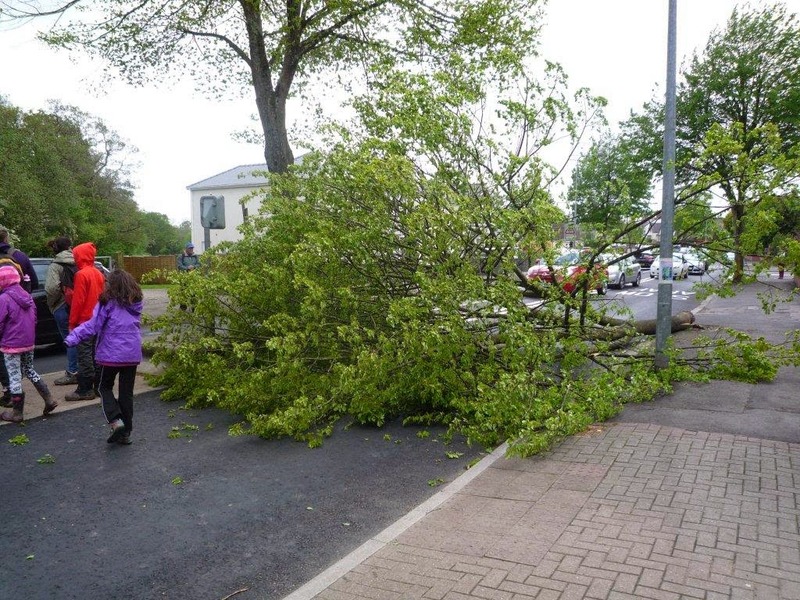 However, having seen a fallen tree on Rhydypenau Rd, it was not felt too good an idea to stay under the trees for too long, and we headed on to Roath Park where the Friends of Roath Park were waiting to talk to those brave stalwarts who had lasted the pace! Thanks to everyone who came along and particularly to the representatives of the four Friends Groups and to Raj Chettri, the Park Ranger, for his support. They know a good walk when they see it! The Nant Fawr corridor is a pocket of natural beauty within the heavily urbanised area of North Cardiff. The walk starts at the top end of Roath Park, one of Cardiff's most popular parks – the lighthouse in the lake was constructed in 1915 and contains a scale model of the Terra Nova ship, to commemorate Captain Scott's final expedition to the Antarctic which wet sail from Cardiff in 1910. The route then explores the river corridor of Nant Fawr, passing through woodland and open meadows. Although the Llanishen reservoir is privately owned there are viewing platforms for spotting wintering birds. Getting there: Just south west of junction 30 on the M4 with parking at the start of the walk. Rail stations at Heath and Llanishen. Regular bus services. When: Visit in winter when Llanishen and Lisvane Reservoirs are the winter home for a variety of waterfowl.